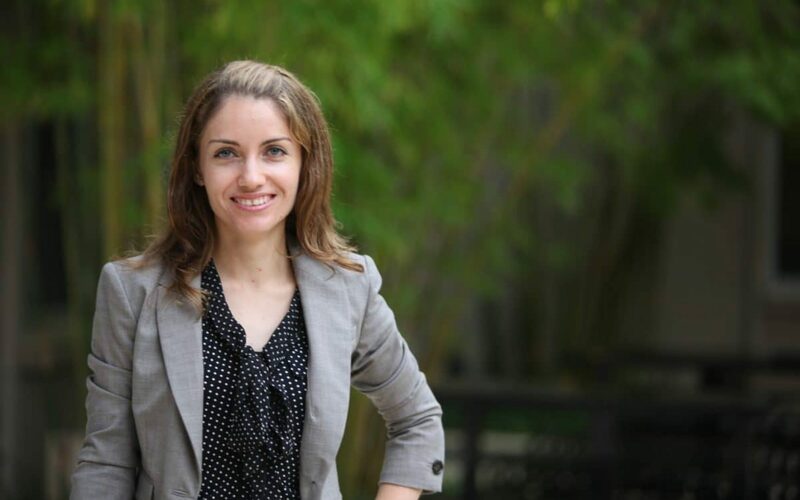 GAINESVILLE, Fla. – Dr. Klodiana Lanaj, Martin L. Schaffel Professor in the Department of Management at the University of Florida Warrington College of Business, is the recipient of the 2019 Distinguished Early Career Contributions Science Award by the Society for Industrial and Organizational Psychology (SIOP). Lanaj has made significant contributions to the I-O psychology and management fields since she completed her Ph.D. in 2013. In addition to producing 25 refereed publications, her research, focused on leadership and self-regulation theories, has been cited about 500 times. Her research also focuses on leadership engagement, wellbeing and leadership processes in teams. Lanaj serves on the editorial boards of many prestigious journals such as Journal of Applied Psychology, Personnel Psychology, Academy of Management Journal, Academy of Management Review, and Organizational Behavior and Human Decision Processes. In addition to her research contributions, Lanaj teaches organizational behavior and leadership courses to Warrington’s MBA and specialized master’s students. She also serves as an adviser to doctoral students in Warrington’s management department and Doctor of Business Administration program. She has received a number of awards including the Best Reviewer Award from the Academy of Management Journal, two Excellence in Teaching Awards from Warrington, the University of Florida Excellence Award for Assistant Professors and was honored with the UF Hough Faculty Research Fellowship from 2015-2018. Lanaj received her Ph.D. from Michigan State University as well as a B.A. in Business Administration and a B.A. in Journalism & Mass Communications from American University in Bulgaria.